​Each year we ask our travelers to submit their favorite photos from their journeys with us for a chance to be featured in our annual calendar. This year we had so many great submissions that it was a challenge to narrow it down, but we're excited to share the finished result. Thank you to everyone who submitted their photos and shared their stories with us. This year's cover is a breathtaking shot of Cataratas del Toro in Costa Rica. Check our blog to see each Photo of the Month, or click here to view the full calendar. "Many people plan a trip to Costa Rica to relax on palm-decorated tropical beaches, glide over forest canopies on adrenaline-pumping zip lines, or adventure down white water rivers on a bounding raft. However, we come here to experience nature at its best. 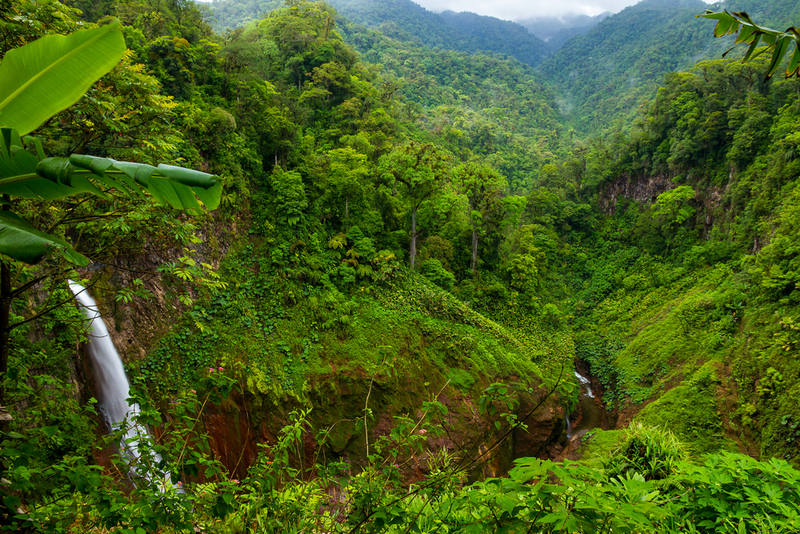 A photographer's paradise, the varied Costa Rican ecosystems offer stunning scenics, misty cloud forests, and lush waterfall-ribboned rainforests, such as Catarata del Toro shown here. Colorful birds, charismatic monkeys, florescent morpho butterflies, and unending leaf-cutter ants revel within the multi-green forests. Holbrook Travel welcomes photography groups such as ours and we have found the guides go out of their way to help us find special birds, poison dart frogs, butterflies, and other wildlife."